“We must all acquire knowledge that is informed by an honest examination of our past.” – Bryan Stevenson, Founder of The Legacy Museum and National Memorial for Peace and Justice in Montgomery, Ala. I wanted to look at the evidence, talk to the witnesses and emotionally absorb the consequences of slavery, segregation and the civil rights battles that continue to rob black, brown and white people of health, money, peace and civility in our country. So I joined a tour bus through the trail of civil rights heroics, atrocities, shame and pride. I visited the Lorraine Motel in Memphis where Martin Luther King Jr. was murdered; saw the blood of Medgar Evers, a social justice activist, still on the driveway of his home where he was assassinated for registering voters; and felt shock and pain taking pictures of the bullet-riddled sign marking the place where Emmett Till’s mutilated body was found … the sign, shot up again last month, in 2018. The Civil Rights Learning Journey, sponsored by the Washington Regional Association of Grantmakers (WRAG) and Leadership Greater Washington, was the culmination of a series of talks and discussions; “Putting Racism on the Table,” among philanthropists, foundation executives and civic leaders. The considerate and thoughtful people on the trip enhanced my experience. They were authentic and articulate about their feelings. And yes, there were tears. People working to ameliorate poverty, health and education disparities decided that the root causes of pernicious racial problems had to be acknowledged and understood before enduring and sustainable change could be made. The staff and boards of many nonprofit, health and education organizations search for a silver bullet to solve issues while remaining oblivious to the depth of racism in our own institutions, laws and society. The awareness and understanding of the role played by racism is essential for programs and services aimed at helping children, families and individuals reach their potential. 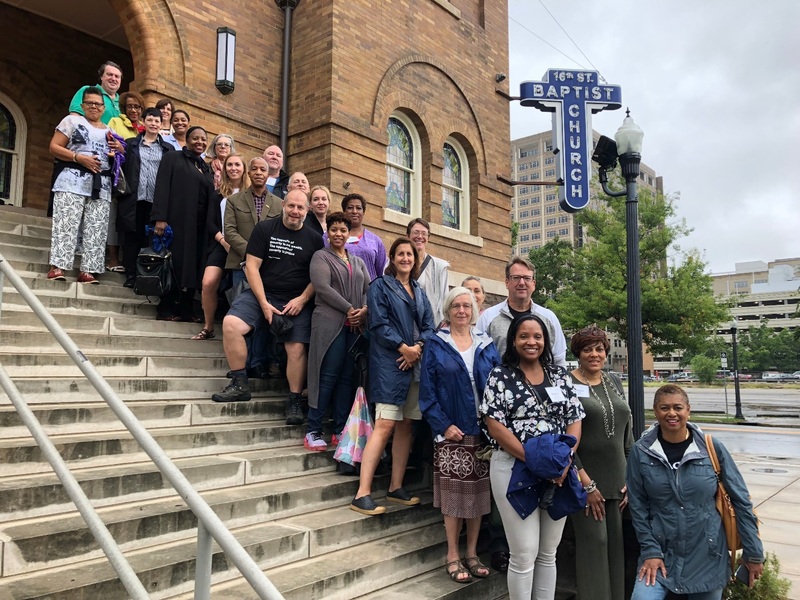 Our group at the 16th Street Baptist Church in Birmingham, Ala., where 22 people were injured in a bombing by the Ku Klux Klan, including four little girls who died. 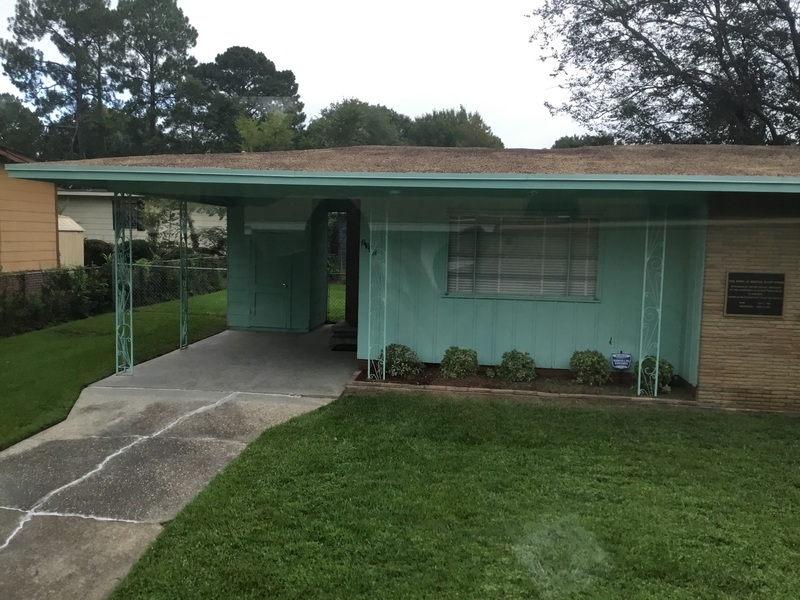 Medgar Evers’ blood stains remain on the carport of his house in Jackson, Miss. The bullet holes in the sign marking the Sumner, Miss. 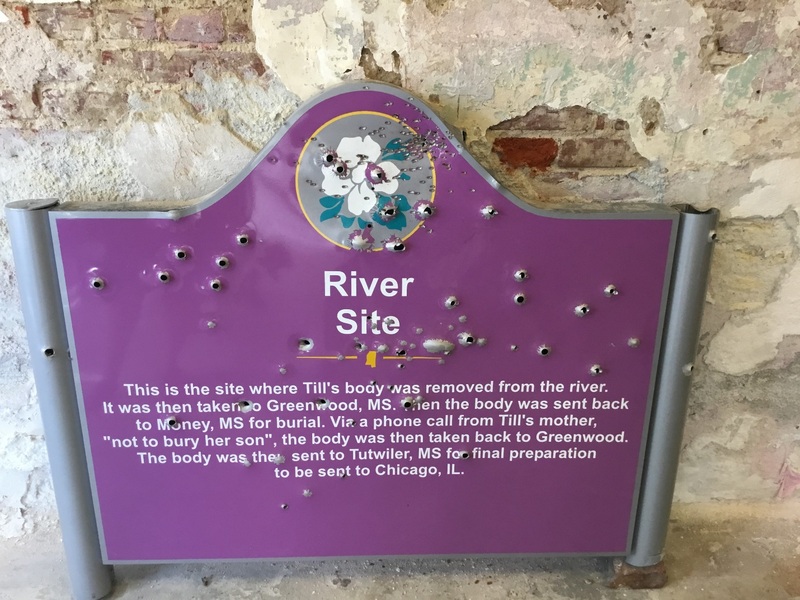 site where Emmett Till’s tortured and mutilated body was found were made in Sept. 2018. - Jatrice Martel Gaiter will be posting a series of photos and blogs about her Civil Rights Learning Journey.